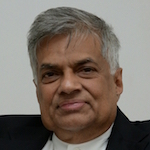 Prime Minister Ranil Wickremesinghe said that he forwarded the recommendations submitted by the Committee on Public Enterprises (COPE) on the controversial Central Bank bond issue in December 2016, more than a year before President Maithripala Sirisena pledged to do so. He pledged moreover that the Yahapalana Government is committed to take legal action on all wrongdoings since 2008, as recommended by the CoI. Hoo Hoooo go to helly percy jimmy dumbo thonda and specially to seerasa media coolies hoo hoooo! If one not looking at Mahabharata holistically but only literarily, Krishna wanted his relatives and friends victory, in that war. He planned the war without his physical involvement. His intention was maximum wipe out so that the Hastinapura Aryan ruling will be over. It was ok with him, in that effort, some of his genuine friend too be wiped out. While maintaining a slight edge on the Panadavas’ side to ensure a notional victory, but balancing the both side was his strategy to achieve this. He was wedging between the Aryan and the semi-Aryan clans hoping they two will take care of them for once for all, leaving none of them behind. For that, he had to remove Araavan from Pandavas side, because his heavyweight was tilting balance too much to Pandavas side. So he took Araavan the night before, slept with him, and in the morning sacrificed him, making others to believe that a sacrifice of a person like him will bring victory to Pandavas -A perceived sincere administrational cleaning. Then, probably by that Krishna’s sacrifice his friends Pandavas won the war temporarily, but on the centuries’ prolonged war, Aryans fully overwhelmed Dravidians and ruled India for ever after that. . There are some sacrifices offered to the almighty Sinhala Voter God, to bring victory to the perceived justice King over the tyrannical King. Araavan Mahendran may bring a temporary victory in the LG election. But what about the EP election and General election, which decides the ultimate power change? 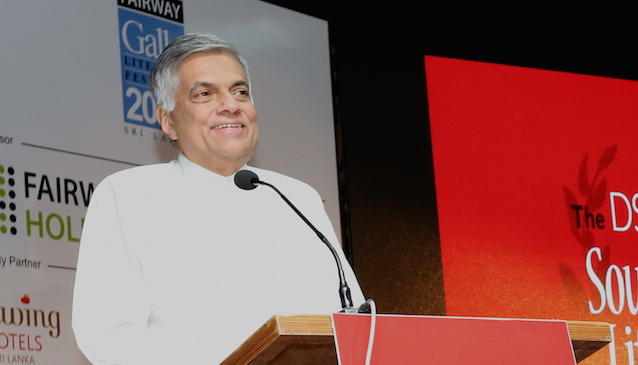 What is going to Ranil’s strategy then? See all bosses and madams of CT, me Rajagiriye Samantha. Me under world boss. I not like Sinhala Demala Katha. I know all same same . I see kill Sinhala Pora also Demala pora. I see kill by cutting neck by knife. Blood red same same color. Me also killer. But me Buddhist. My religion not kill even fly. But I kill fly everyday. I have to. I kill men. that no good but I have to. Otherwise me my family not eat. life like that sir. sometimes do bad sometimes do good. What i want say boss, I see TV Hara Kotiya. think best Sinhala teledrama. everyone in my bajar see it. Not go here here at Hara Kotiya going time. Sinhala Demala Muslim all see Hara Kotiya. What I want to say boss, this made by two sirs. one Sinhala one tamil. Sinhala sir make spend money write debus (not know English word – i mean what speak). demala man adhyaksha (not know English word sorry boss). See boss, what Sinhala peoples and Demala peoples can do if friend and do together. I see this Demala man make film hara kotiya in polwatte very near to my bajar. him know everything about Sinhala peoples. know more than me Sinhala peoples. Sirs, I think we can go to moon if Sinhala Demala peoples forget bad thing and work with together. Thank you sir for allow me write. my English not good but you put it there. thank you sir and happy new year to all sirs and madams. You sound like “Silibiris” from LNP.